It's about time to close the box. I have a triangular brace blank of old spruce that's cut to keep the growth rings standing. The shorter ones I plane down from the wider edge so they're the right height. I don't glue the to the back, that's for other builders. I fit them to the linings like the ribs on a boat. 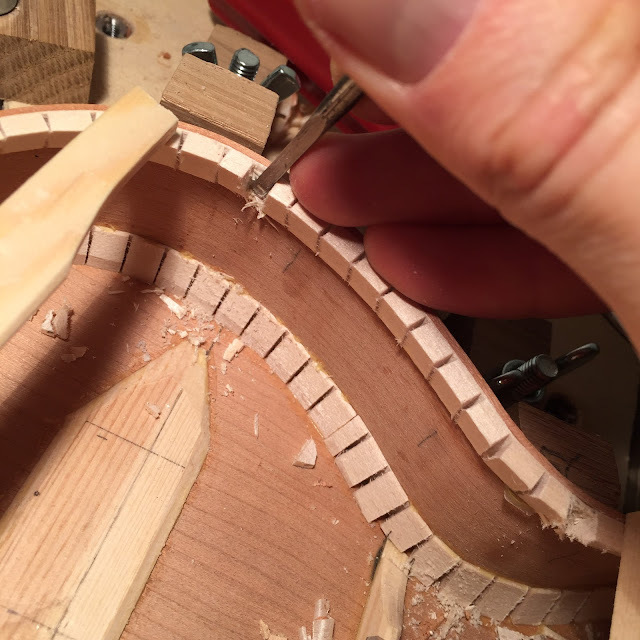 With my small modeller's saw I cut notches in the lining strips. The notches are cleaned up and refined. 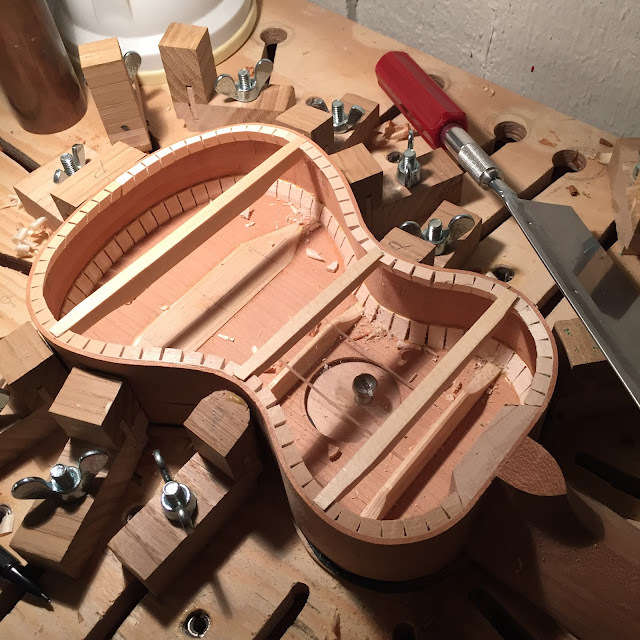 When the braces fit just a wee bit proud I seat them by planing or carving the braces' ends, on side that won't be seen from the soundhole. Here they are, ready for glueing. I like them to be a fraction short rather than too long. 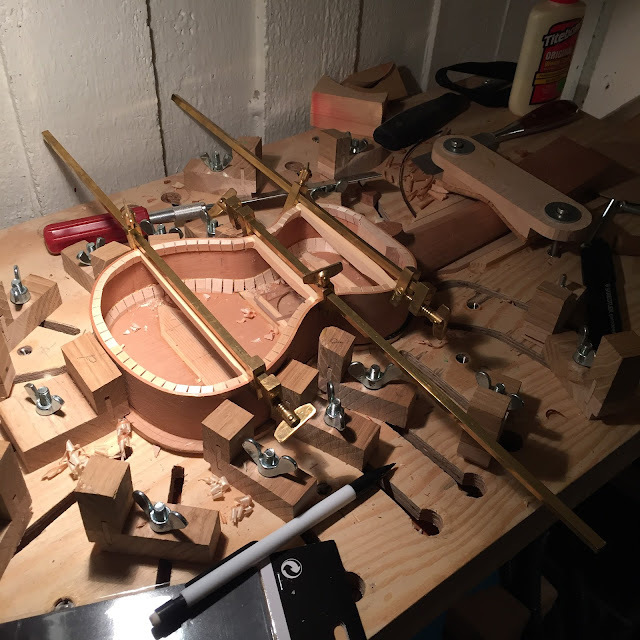 I imagine the shape of the completed body benefits from pulling the sides in with the clamps as it keeps the top taut (in my imagination anyway). And here it is, with the lovely Japanese bar clamps. Or was, as the back went on yesterday. 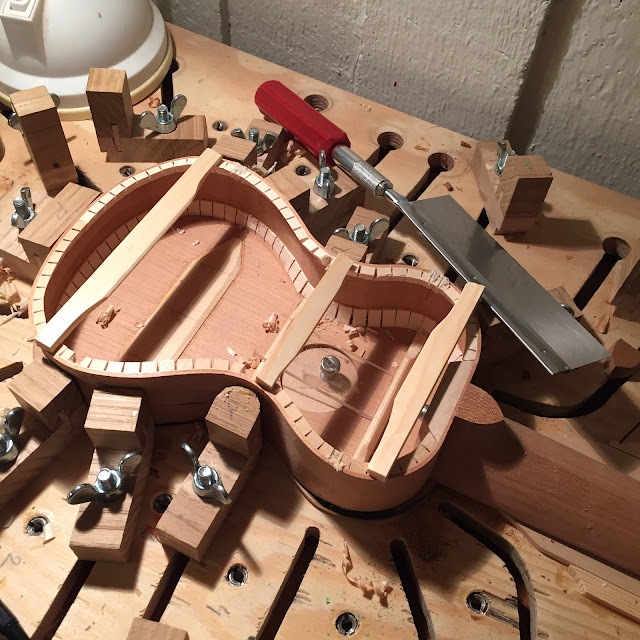 I set the neck angle with a shim under the neck at the nut end and the back keeps everything in place. And despite using a bolt on neck connection my backs always cover the heel.